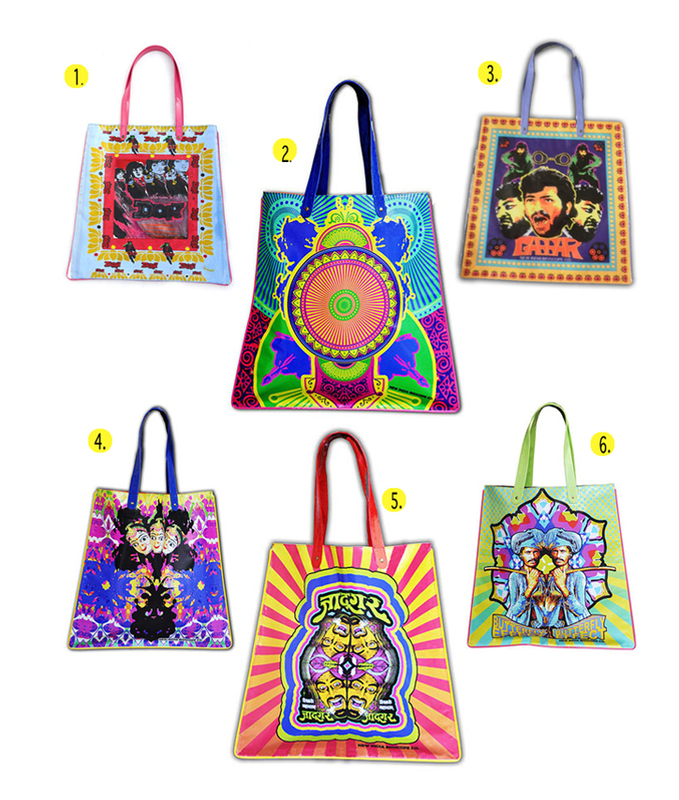 How cool are these bags by eclectic Delhi based designer Nida Mahmood? I stumbled across them whilst perusing the press archives of India’s Lakme Fashion Week, ogling at the outrageous colours and imaginative ideas prevalent in so much of India’s new generation design talent. Exit Manish Arora (off to Paris he went, although news on the street is he might be out of job) and enter the new ‘Queen of Indian Kitsch’. Since debuting her designs back in 2006 at Wills Lifestyle India Fashion Week, as one of the six “Gen Next” designers, Nida’s namesake label has soared to success. Riding the wave in 2009, Nida launched her sister retail label New India Bioscope Co in collaboration with PR guru, Raul Chandra. Born out of a mutual obsession for Old Delhi Bollywood poster art, kooky street style and an 'incredible wanderlust for everything in technicolour', the duo searched high and low for those aging Bollywood-hoarding artists who, before the tech revolution, would plaster the city with hand-painted pop-art style posters. Adding an air of authenticity to their eclectic Bollywood style artwork, Raul and Nida, aren’t just doing this for kicks. With a nod and a wink to a bygone era, where artisans reigned supreme and computers were still scary, the New India Bioscope Co aims to build excitement around the art form so younger generations may catch on and become interested in taking the idea forward. And forward it now goes, with the line of hand-painted pop graphics now extending to everything from these super cool hand-painted bags and trunks to jackets, furniture as well as some more cost effective options such as notebooks, coasters and umbrellas.